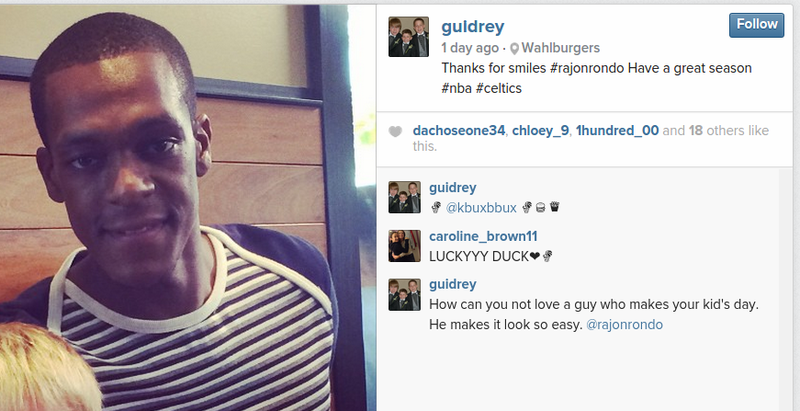 Did Rajon Rondo eat at Wahlburgers, break his hand on a trampoline, have surgery, then fly to LA? Rajon Rondo told Celtics he broke his hand slipping in the shower, source told ESPN. Broke one bone in back of his hand. Out 6-8 weeks. Yes this was definitely yesterday. The place’s name is Altitude Trampoline Park. Here are tweets from people who saw him there yesterday." 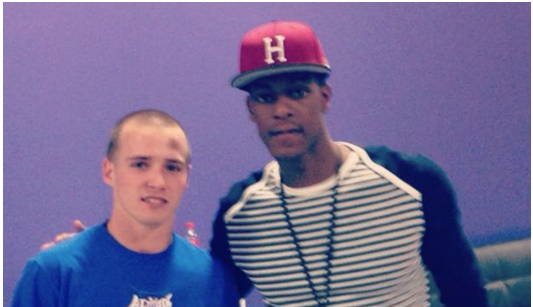 Also, notice that Rondo is wearing the same shirt at the trampoline place that he did at Wahlburgers. Pretty suspicious, right? Again, check the location. Did Rondo really just fly to LA? Training Camp starts next week, and even though he's obviously not playing, you'd think he'd be there for media day on Monday. This Instagram post could possibly be old or not real, but that wouldn't make any sense either. What are the chances Rondo took off to hide on the other side of the country because he doesn't want to explain to anybody about how he broke his hand? I've been told on twitter by someone who says they heard "second hand" that Rondo did not jump on the trampolines himself. @LucidSportsFan someone that works there. Big thanks to @KWAPT on twitter for the help. 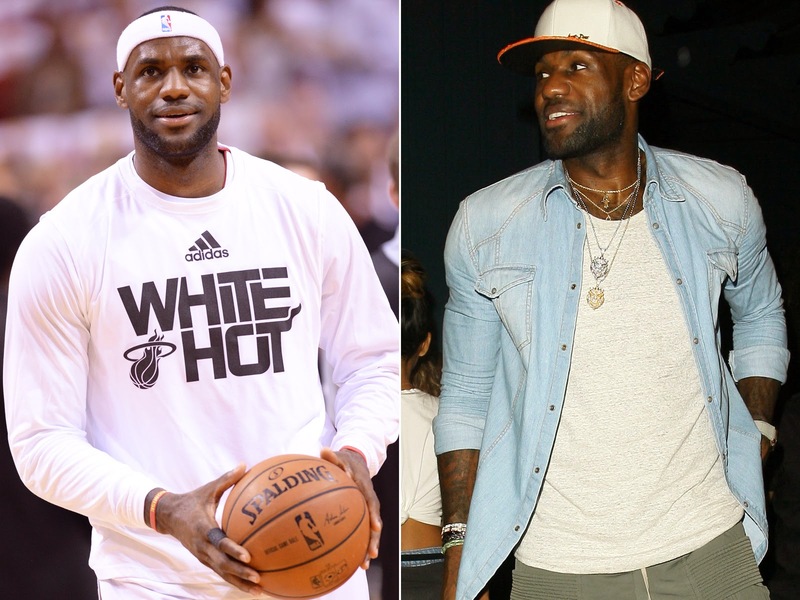 Is LeBron an idiot for losing all that weight? This offseason LeBron James reportedly went on a diet where he did not eat any carbohydrates, sugar or dairy products for 67 days. My question is, why? James says he weighs "250ish" now, meaning he probably lost at least 25 pound or so. He's visibly skinnier than he was last season. Over his 11-year NBA career, I've never once heard anybody say he even looked the slightest bit out of shape or overweight. On the other hand, one of the things that makes LeBron the best basketball player in the world is that fact that he's always bigger than whoever is guarding him. He's very good at driving through the lane and knocking people out of his way; often getting the "and one" foul calls when he converts layups despite a lot of contact. His size and strength make him much more effective; getting smaller seems very counter-intuitive. 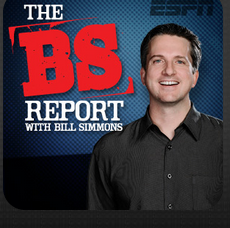 Is there a conspiracy going on with ESPN's Bill Simmons suspension? The really funny thing is, I was already planning to write about Bill Simmons today, making a joke about something he does on his podcast regularly. But it looks like that will have to wait, because yesterday ESPN suspended Simmons for three weeks. The network says it's because of the remarks he made about Rodger Goodell, but really it's the defiance with which he did it, literally daring his employers to reprimand him. ESPN knows Goodell is liar, but they can't say it publicly because of their relationship with the NFL. But, they can have someone like Simmons talk about it on a podcast, than make a big story of it by suspending him. They get the message across, and Simmons gets a three-week vacation. Had to be. So scripted @LucidSportsFan: @stoolpresidente He wanted time off, they wanted him to say it, win win. As a whole, Americans seem to be afflicted with a lot more food allergies now than we were several years ago. Is it because we're more aware of/educated about them, or because we're pickier/afraid of everything and facilitate allergies by not exposing ourselves to stuff? Waiter: Good evening. You folks are ready to order? Carrie: Um... yes! Let's see, um,...I'm going to start with goat cheese salad and then I'll have the tuna but, sir, can you make sure there's no parsley on anything? I'm just really allergic. Not even a sprinkling ever on the plate. Berger: Hey, you got her. No parsley. Carrie: And, can... actually can, uh,...can you ask the chef if the marinade for the tuna has parsley in it? Because if it does I should probably change my order. Waiter: I'll go check/ Thank you. Carrie: I don't like it! Berger: Why don't you just say that? Carrie: Because when I say that, parsley somehow, magically appears on the plate and I feel bad because I have to send it back. Berger: You didn't even order something that usually comes with parsley. Carrie: It comes with everything. My issue with this is that she completely takes for granted all of the extra (and in in this case unnecessary) time-consuming effort and precautions the restaurant will take out of fear of her having an allergic reaction. 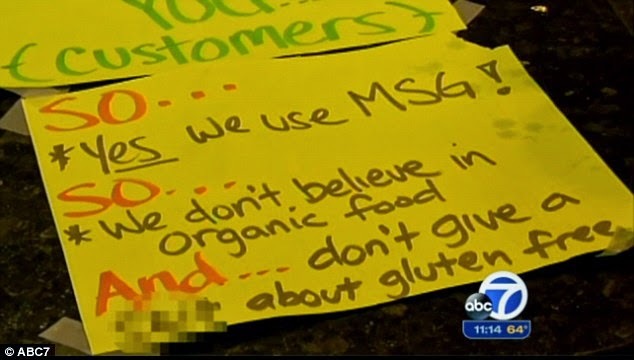 Here's how I see it: You're the one making a choice to eat in the restaurant. You shouldn't expect to be accommodated if what you're asking for is outside the realm of what is normally offered. Trailing 16-9 on Sunday, the Raiders had a 3rd and 7 at the Patriots' 30-yard line with 1:09 remaining in the 4th quarter. A very questionable pass interference penalty on Logan Ryan (which could just as easily have been against Oakland's Andre Holmes, pictured) suddenly gave the Raiders 1st and goal at the 6. One the very next play Darren McFadden ran it in for what looked to be the game-tying (or winning in they went for two) touchdown. Fortunately for New England a holding call (below) on Gabe Jackson nullified the score, and pushed the ball back to the 12-yard line. 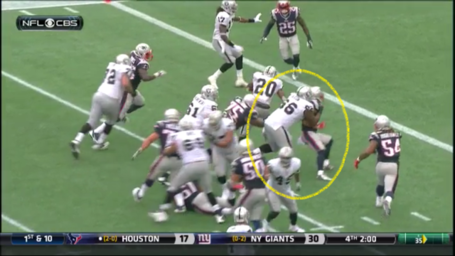 Vince Wilfork's unlikely interception followed, and the game was effectively over. Thanks to PatsPulpit.com for the picture and above GIF. "Are we sure that was PI?" "I think we have to call it, but there's no way that should be what decides the game, right?" "What if we just move Oakland back a bit on the next play?" "Good idea. How about a holding penalty? You can always find that going on somewhere." Officiating continues to play too big a role in the outcome of NFL games. 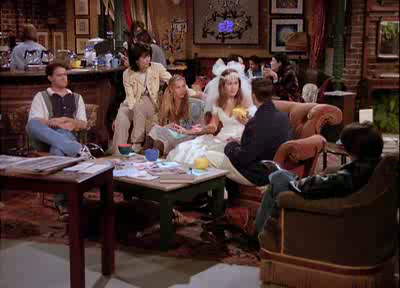 It's hard to imagine it's been 20 years since Rachel walked into that coffee shop in her wedding dress, on Thursday, September 22, 1994. Friends is without a doubt the television show that I've watched more than any other, and likely the one program that has impacted my life the most. If I had to guess, I'd say I've seen each episode an average of 5-6 times (some only 2-3, some 10 or more). Here's a recently published ranking of all 236 of them. Funny how they used the expression "google card" before google was "Google." 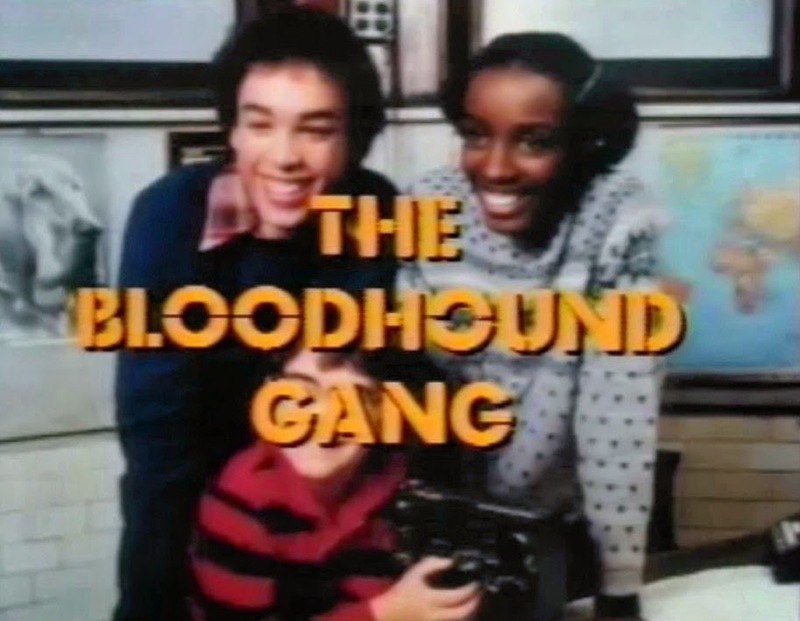 I'm not exactly sure how these kids got jobs at Bloodhound Detective Agency, but lucky for them Mr. Bloodhound was never around when the phone rang (watch at the 1:15 mark of the clip), so they got to go solve all the crimes by themselves. For the youngins out there, The Bloodhound Gang was a segment that appeared at the end of the 1980s PBS show "3-2-1 Contact." In 1986 Bloodhound Gang was cancelled after lead actor Marcelino Sanchez (pictured on the left) died of AIDS.